Ancestry has updated their online New York ship passenger lists database. It now covers the years 1820-1957. The database includes a name index for the passengers as well as digitized images of the passenger lists from the National Archives microfilm. The Barge Office, Castle Garden and Ellis Island periods are included in the database. See: New York Passenger Lists Quick Guide 1820-1957 for a link to the database and basic NY ship passenger lists information. The Cemetery Symbols Blog has a recent post about the Jewish symbol of the Priestly Blessing, which can sometimes be found on tombstones of people with a priestly lineage. The Hebrew word for priest is Kohen (or Cohen). As a child, actor Leonard Nimoy saw the Priestly Blessing in a synagogue and later adapted it as the Vulcan hand greeting in the Star Trek television series. For more see: Kohanim or Cohanim Hands - Priestly Blessing at the cemetery symbols blog. Ancestry has added a name index and digitized images for the 1851 Census of Canada to its collection of online genealogy databases. The 1851 Canada census includes the areas of New Brunswick, Nova Scotia, Canada East (Lower Canada, or roughly Quebec), and Canada West (Upper Canada, or roughly Ontario). Not all of this census has survived. Some of this census was actually taken in 1852. 13 seconds, and one international migrant is added every 31 seconds. What does it cost to count you? If you have any ancestors or relatives who enlisted in the US Army during World War II, you might be able to find them listed in the Army Enlistment database provided by the National Archives (NARA). The original computer files for this database were created in 1994 by the Bureau of the Census at NARA's request. The Census Bureau used their "Film Optical Sensing Device for Input to Computers" (FOSDIC) system from a series of 1,586 microfilm rolls of computer punch cards. The original punch cards, which had basic information about enlistees when they entered the Army, were destroyed after being microfilmed in 1947. Unfortunately 212 microfilm rolls could not be converted to computer files because the card images were too dark. In 2002 NARA edited, merged and cleaned up these files, then later put them online. They can be searched from: Access to Archival Databases (AAD) Click on "World War II" when you get there. The Army Enlistment database contains 9,200,232 total records. You will find some errors in the database due to all the changes and editing the originals went through from punch card to microfilm to computer files. Also, about 1.5 million punch cards were not readable by the FOSDIC system from the original microfilm so the database is incomplete. NARA considers the database with its 9 million entries to be a "best guess" file. Note that the database is for United States Army enlistments, including the Women's Army Auxiliary Corps (WAAC or WAC), and not other branches of the service. Despite the errors and omissions this is still a great tool for finding basic information about WWII Army enlistments. The middle name given in the death index contains a typo. The name should actually be Nesta - that's what Bob Marley was called as a child. The name Nesta, perhaps prophetically, means "messenger." Robert Nesta Marley was born in Nine Miles, St. Ann Parish, Jamaica on 6 February 1945, while the world was at war. His mother, Cedella Malcolm (now Booker), is descended from Jamaican slaves. She currently lives in Florida and turned 80 this year. Bob's Anglo-Jamaican father, "Captain" Norval Sinclair Marley (1881-1955), had little contact with his son. Norval and Cedella were married in 1944 when he was 63 and she was 18. Bob was their only child. In the Time Will Tell video biography Bob was asked if he had prejudice against white people. His response: "I don't have prejudice against myself. My father was a white and my mother was black. Them call me half-caste or whatever. Me don't dip on nobody's side. Me don't dip on the black man's side nor the white man's side. Me dip on God's side, the one who create me and cause me to come from black and white." Bob's paternal grandparents were Robert Marley (1851-1885) and Ellen Bloomfield (1854-1952). His maternal grandparents were Omeriah Malcolm (c. 1880s-1964) and Alberta Willoughby (?-1935). Omeriah was a farmer, a "bush doctor," and one of the most respected residents of Nine Miles. According to Timothy White's book, Catch a Fire, Omeriah's father, Robert "Uncle Day" Malcolm, "was descended from the Cromanty slaves shipped to Jamaica from the Gold Coast (of Africa) in the late seventeenth and early eighteenth centuries." Slavery was abolished in Jamaica in 1838. Bob's mother moved from Jamaica to Wilmington, Delaware in 1962. Bob lived with her for part of 1966 and visited a few other times, doing odd jobs including one as a lab assistant for DuPont. He worked hard so he could save enough money to start his own record company. Before going to Delaware Bob had recorded solo and with his fellow Wailers, Bunny Livingston and Peter Tosh. He had also married Cuban born singer Alpharita "Rita" Anderson (b. 1946). When he returned to Jamaica he continued to pursue his musical career. Following a prolific series of Jamaican recordings and hits, the Wailers signed with Island records in 1972 and gained an international audience. Bob's landmark 1977 album Exodus was voted "album of the century" by Time Magazine in 1999. "Won't you help to sing, these songs of freedom..."
In September, 1980 I visited New York City for the first time. I stayed at the Essex House Hotel at the southern end of Central Park. Bob Marley and the Wailers were staying at the same hotel. They were in town for a series of concerts with the Commodores at Madison Square Garden. I saw Bob and his entourage in the lobby one afternoon. Of course they looked a little different than the other hotel guests. Of course they all stood out. But Bob had a presence the others lacked. He was wearing a Rasta tam (knitted cap) over his dreadlocks. He was ill at this time, but I didn't know that then. His vibration, maybe dimmed by illness, still filled that lobby. Just standing in his presence you could feel it. He died less than eight months later. But his vibrations can still be felt in the music and spiritual philosophy he left behind. As some of you may know, the first person to be processed at New York's famous immigrant center, Ellis Island, was an Irish girl named Annie Moore. But what became of Annie Moore? Where did she live after arriving in the US? Did she marry? Have children? On July 17, 2006 Megan Smolenyak announced a genealogy contest to help find out. A $1000 reward was offered. In late August, Megan annouced that the contest was over. And on September 15, 2006 a press conference was held at the New York Genealogical and Biographical Society. The $1000 prize was split between two people, who will both donate the money to help buy a headstone for Annie Moore's presently unmarked grave in Queens, New York. For more see this Annie Moore Story in the New York Times (may require registration). And: Annie in the Echo. Also check out Megan's blog post about her New York adventure - Annie Moore's Youngest Descendant. The Massachusetts Archives has added a Massachusetts death index for the years 1841-1910 to their website. Each entry includes name, town or city, year, volume and page number. Note that only the year of death is given, not the date, but you can order copies of the death records from the archives. Remember on the TV show Friends how Ross and Rachel ran off to a Vegas chapel and got married in a (gasp!) drunken stupor? Ok, you won't find them in the database, cause they don't exist, but you can find Britney Spears listed. Yes, America's sweetheart got married for the first time in Las Vegas and then quickly had the marriage annulled. Oops, she did it again. Go ahead and look her up. Here's a partial list of some other celebrity Las Vegas weddings: Demi Moore and Bruce Willis in 1987, Richard Gere and Cindy Crawford in 1991, W. Axl Rose and Erin Everly (daughter of Everly Brother Don) in 1990, Frank Sinatra and Mia Farrow in 1966, Paul Newman and Joanne Woodward in 1958 - Paul and Joanne remained married until he died in 2008. Mickey Rooney got married in Las Vegas seven separate times (!) between 1944 and 1978, all at the same chapel. And don't forget Elvis - the real Elvis Presley married Priscilla Anne Beaulieu in 1967 at the Aladdin Hotel. No word on whether an Elvis look-alike serenaded them. Whether they arrived by ship from Europe, Asia or somewhere else, or whether they came across the Canadian or Mexican borders, our immigrant ancestors usually came to the USA through a port of entry. Beginning in 1820 (and much later for the land border ports) their names were usually recorded on some kind of record for that port. These records are sometimes called "ship manifests" or "passenger lists" or "immigration records" or "alien arrivals" or something similar. Many of these records or copies of them have survived and they are kept at the National Archives (over the years some have been lost or destroyed). Quite a few of them have been microfilmed and some of these microfilms have been digitized and put online. But there are many more ports where immigrants arrived. Four years ago I made a webpage that listed all the ports I could find that have published immigrant arrival records. The page has been updated several times. I've been spending the last three days updating the webpage again - I added more ports and updated others - because the National Archives continues to publish more records of immigrant arrivals at ports. And more continue to go online. You won't find every port here, but you will find a lot of them. They're arranged alphabetically by state. Included are links to lists of microfilm or research guides or finding aids or online records or whatever I could find to help you find your ancestor's name in the records of that port. Like many genealogists, I enjoy spending a lazy afternoon wandering through a cemetery, taking pictures or just looking around. I like the sense of meditative calm that you only get in cemeteries. 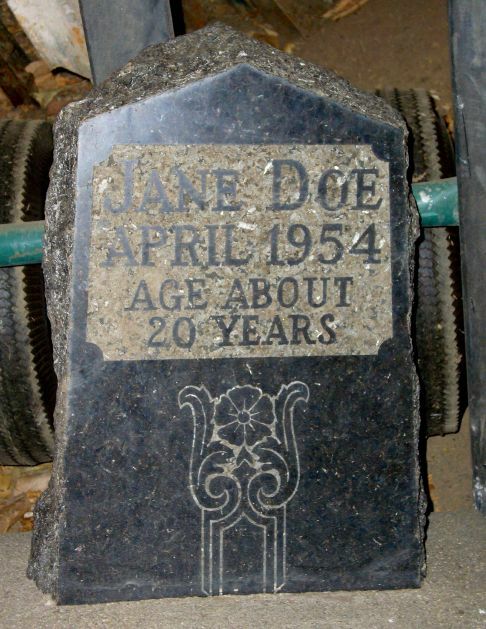 And each grave marker has an interesting story carved in granite or marble or some other stone. Sometimes I come across a mysterious symbol engraved in a headstone or decorating a grave. These symbols almost seem like clues to add to the minimal information usually found on most gravestones. Two years ago author and photographer Douglas Keister published a book that discusses the meaning behind many of these cemetery symbols. He called it Stories in Stone. The book is illustrated with numerous photographs and includes an alphabetical listing of acronyms and abbreviations of societies, clubs and organizations. A chapter on mortality symbols discusses everything from the skull and crossbones to the grim reaper. 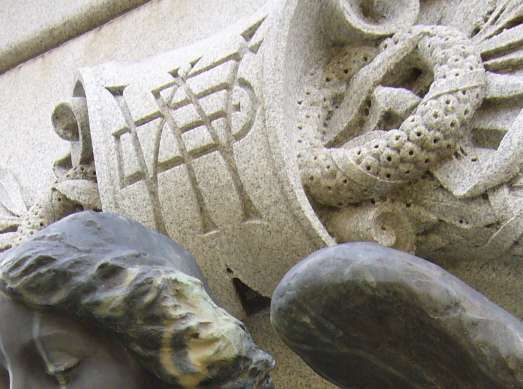 There are chapters on symbols of flora (plants), fauna (animals), and religions (Christian, Hebrew, Chinese and Japanese), including descriptions of different kinds of crosses. Angels, who seem to gather in cemeteries everywhere, get their own section called "Heavenly Messengers." I was especially impressed with the chapter devoted to secret societies and organizations such as the Masons/Freemasons, Woodmen of the World, Knights Templar, Knights of Columbus, Odd Fellows, Grand Army of the Republic, Shriners, and others. Each of these is illustrated with an example photograph. 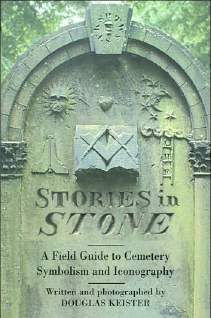 The book is not only useful for helping to decipher some of the symbolism found in cemeteries, it's also just fun to look through. Recommended for genealogy sleuths and cemetery lovers. You might try your favorite local bookstore or a library. While Maria died in a hopsital in Morristown, her death certificate shows her residence as Stowe, VT. Her usual occupation is given as "author" and her business or industry as "entertainment." The informant (person who supplied the information) was her son, Johannes von Trapp. Note the spelling of her surname in the index - Von Tropp) - it does look like Tropp, rather than Trapp, on the hand written death certificate. When using the SSDI if you come upon a month and year only for the death date you can usually get the correct date from other sources such as the person's death certificate. 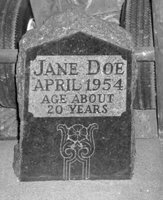 Try the online death records directory for some online indexes and sources. Also, when searching for surnames that contain more than one word you might try different variations like... Trapp, Vontrapp or von Trapp. Georg and Agathe (Whitehead) von Trapp had seven children, all born in Austria: Rupert, Agathe, Maria, Werner, Hedwig, Johanna and Martina. 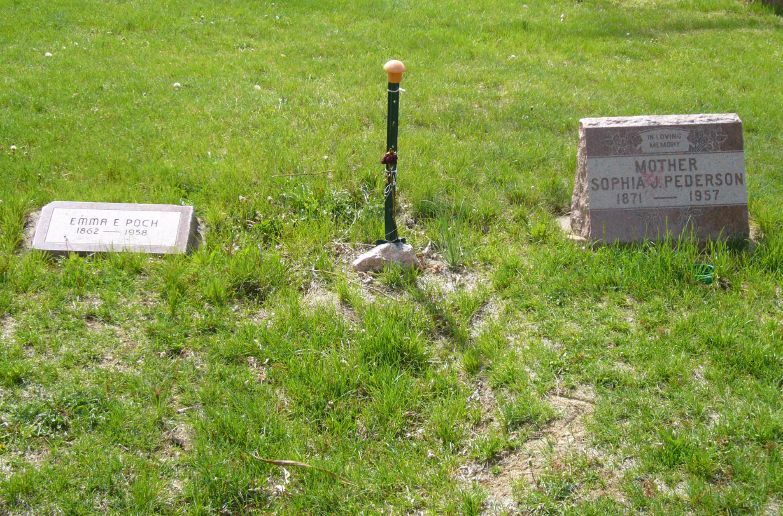 Agathe von Trapp died in 1922 of scarlet fever. 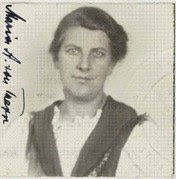 Georg and Maria (Kutschera) von Trapp, who married in 1927, had three children: Rosmarie, Eleonore, and Johannes. The first two were born in Austria. Johannes was born in Philadelphia while the von Trapps were visiting Pennsylvania on a singing tour. The family later settled in the United States. In the Sound of Music movie, the real Maria von Trapp, along with one of her daughters and a granddaughter, did a "walk-on" and can be seen briefly in the "I Have Confidence" segment behind Julie Andrews. This article was updated on 11 August 2010. - Eastern District Court of New York Naturalization Project 1865-1956 (work in progress/not complete) indexes naturalization records of Eastern District NY Courts including Kings (Brooklyn), Queens, Richmond (Staten Island), Nassau & Suffolk Counties. From August 1855 to 1924, millions of new arrivals to New York City went through an immigration processing center. The most famous New York immigration centers are Ellis Island and Castle Garden. The least famous is likely the Barge Office, which was used briefly just prior to the opening of Ellis Island in 1892, and again following a fire on Ellis Island in 1897, which destroyed the buildings there. When the new buildings were completed in 1900 Ellis Island again became New York's immigration center. On July 1, 1924 a new law went into effect which stated that immigrants were to be inspected at US consular offices in the immigrant's home country before coming to the US. Ellis Island continued to be used as an alien detention center until November 1954. The first person to be processed at Ellis Island in 1892 was a 15-year-old Irish girl, Annie Moore. The last Ellis Island detainee was a Norwegian merchant seaman named Arne Peterssen. The Barge Office was located on the southeastern tip of Manhattan. Castle Garden, now called Castle Clinton National Monument, was located on a small island just off the southwestern tip. Later landfill has attached the island to Manhattan. Castle Clinton National Monument serves as a visitor information center for New York's National Parks and Monuments. You can also purchase tickets there for ferry trips to Ellis Island and the Statue of Liberty. The passenger ships to New York didn't actually land at Ellis Island -- they landed at Manhattan and the passengers were ferried over to the island for processing. Generally only steerage passengers went to Ellis Island for inspection. Most of the first and second class passengers were allowed to leave the ship soon after docking. All passengers, however, were (or should have been) listed on the ship manifest (or passenger list). Thanks to INS/USCIS historian, Marian Smith, for her help with this article. 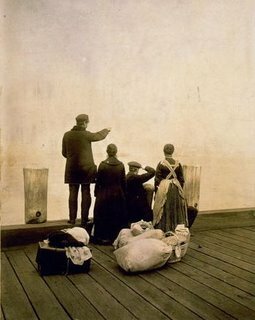 Photograph from: Library of Congress - Selected Images of Ellis Island and Immigration, ca. 1880-1920. New York's Ellis Island opened as an immigrant processing center on January 1, 1892. The first immigrant to be processed at Ellis Island was a 15-year-old Irish girl named Annie Moore. Her ship, the SS Nevada, arrived in New York from Liverpool, England and Queenstown (now Cobh), Ireland on December 31, 1891. Annie and her two siblings went to Ellis Island by ferry the next day. You can see a scan of Annie Moore's passenger list (ship manifest) at the Ellis Island Website - you may have to log in or register (free) to view the manifest. Annie is passenger #2 on the list. Her siblings, Anthony and Phillip are passengers 3 and 4. This article was updated on 9 September 2018. To find a Civil War service record it is helpful to know the soldier's allegiance (Union or Confederate), and the regiment and state (example: 10th Missouri Infantry). You can usually find this information in the Civil War Soldiers and Sailors System Online Database. Most (but not all) Union soldiers or their widows (or other dependents) applied for and received a pension. Civil War pension records for Union soldiers are held by the National Archives, and can be ordered from them for a fee. Confederate soldiers or their widows usually were only able to apply for a pension if the soldier was disabled or indigent (poverty-stricken). This varied by state. These records are usually held by a state archives (where the soldier was living at the time he applied for the pension) or similar repository. You may not be aware that before Ancestry was a provider of online genealogy databases and family trees, they published genealogy books. In 2006 they updated one of their major reference works (and later put it online as a wiki -- see below). The Source - A Guidebook to American Genealogy (edited by Loretto Dennis Szucs and Sandra Hargreaves Luebking) is now available in a third edition. It has been expanded and revised to include both online and offline resources. The Source is essentially a guidebook through the vast maze of records created about people over time and place. We like to call these genealogy records. The early chapters cover the basics of genealogy research, using offline records, and the Internet. Then there are separate chapters on the following types of genealogy records: businesses and other organizations, census records, church records, court records, city and other directories, immigration records, land records, military records, newspapers, and vital records. Special guides include: African American research, colonial English, colonial Spanish (for Arizona, California, Florida, Louisiana, New Mexico and Texas), Hispanic, Jewish American, Native American, and urban research (for finding lost people in large cities). Immigration Records... The chapter on immigration records has useful information about ship passenger lists, border crossings (from Canada), naturalization records, alien registrations and passports. This section was put together by some of the best experts in the field of immigration records, including Kory Meyerink and INS historian Marian Smith. Genealogy speaker and author Megan Smolenyak contributed a helpful four-and-a-half page guide to using the Ellis Island Database. And they even recommend a visit to my own online Guide to Passenger Lists on the Internet. A section called "American Sources for Documenting Immigrants" suggests helpful places to look for records that document immigrants, some of which might name that all important place (village, town, city) where your immigrant ancestor came from. Knowing this can help you pursue further research in foreign records. A later section covers foreign sources that also might help determine immigrant origins. Census Records... The chapter on census records discusses the importance of the census to genealogy research, and has tips for searching in census records online and off. Questions asked in each census are given for each census year, along with specific research tips. Two small sections offer "Suggestions for Microfilm Searches" and "Suggestions for Online Searches." There are also two helpful tables for dealing with census indexes - "frequently misread letters" and "phonetic substitutes." Microfilm and soundex are discussed for offline searching. There is also a section on non-population schedules and special censuses, including mortality schedules, veterans schedules, state and local censuses, African American and Native American censuses, and others. A helpful table at the end of the chapter, "Potential Census Substitutes," offers suggestions for other types of records to look for. This book is like having several specialized guides combined into one large work. You could build a fine genealogy reference library by starting here. Advertising Disclosure: The owner of this blog is a participant in the Amazon Services LLC Associates Program, an affiliate advertising program designed to provide a means for sites to earn advertising fees by advertising and linking to amazon.com. "When I get older, losing my hair, many years from now..."
Beloved former Beatle, Sir Paul McCartney, is having a birthday today. He was born James Paul McCartney on June 18, 1942 in Liverpool, England. Liverpool is one of Europe's most prominent ports. In the 19th Century millions of immigrants left from Liverpool to live in North America and other places. I personally have ancestors who left from Liverpool and arrived in Philadelphia in July, 1880. Liverpool is also where many Irish emigrants came after sailing across the Irish sea to England. John Lennon and Paul McCartney are both of Irish Liverpool stock. In 1967 the Beatles recorded a little song called "When I'm Sixty-Four," which was written by Lennon & McCartney, but it's mostly Paul's composition. He actually based it on a melody he wrote back in Liverpool when he was sixteen. Now the maestro has made it to the magical age of his Sgt. Pepper song. Being age sixty-four must have seemed very far away in the Summer of Love. "When I find myself in times of trouble, mother Mary comes to me. Speaking words of wisdom, let it be." Paul's parents were James McCartney and Mary Patricia Mohin. Both are of Irish descent (Paul's maternal grandfather was born in Ireland). Paul's mother died when he was fourteen and Paul found solace in music, fueled by a newly acquired acoustic guitar. Paul wrote the song "Let it Be" in 1968 after having a dream about his mother. Paul McCartney has been in the news quite a bit lately with all sorts of fuss being made over his separation from his second wife. But to me that's his personal family issue and really none of my business. I hope he sorts it all out and fares well. He has brought much inspiration and joy to many people. "Birthday greetings, bottle of wine..."
This article was updated on 9 June 2018. St. Louis is the home of Budweiser, the unbeatable St. Louis Cardinals, the Gateway Arch, and the S.S. Admiral (once upon a time a great way to take a cruise on the Mississippi, now a floating casino). And it's a hub on the fabled Route 66 from Chicago to LA. 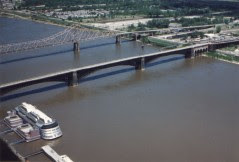 Your host, the Genealogy Roots Blogger, was born in St. Louis. 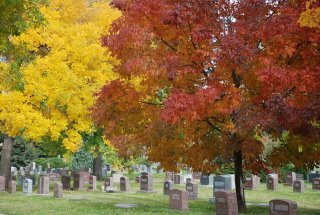 Here are some of my favorite online St. Louis genealogy sources that you might find helpful if you've got St. Louis ancestors. St. Louis Genealogical Society Members get access to a collection of online databases, including a large collection of St. Louis cemetery burials, indexes to some St. Louis church records and more. Both the St. Louis City and County libraries have genealogy resources within their walls and on their websites. If you're just passing through, perhaps on your way from Chicago to L.A. on Route 66, be sure to stop at a Steak 'n Shake and order a Steakburger. Buddy Holly's passport was recently offered for auction by his widow, Maria Elena Holly, and it sold for $26,290.00 (whoa!). If you want to see what a nearly 50-year-old passport looks like, or if you're a Buddy Holly fan, the auction house has some nifty scans on their website. Since starting this blog I decided to look around the "blogosphere" (yeah, that's what it's called) at some other genealogy-related blogs. When I come across a blog I find interesting or useful I'll occasionally tell you about it here. I'm going to start today with "Megan's Roots World." You will also find links to some online city directories for Canada there. Not all states are covered in these directories, but you might find something useful. And they are occasionally updated. Enjoy.